Hey, we can’t believe it either! We already have to talk about winter trends and #styleinspo. Well, winter is the most challenging time of the year for the fashion obsessives. But at the end of the day, no mission is impossible for the ultimate fashionista. First, weather conditions can get in the way. So, if you live in a place with extreme winters, make sure you have statement jackets. We know you are dying to show everyone what’s underneath, but you better stay warm. Don’t risk your health for the fashion’s sake, but if the weather allows at least wear your jacket unbuttoned. 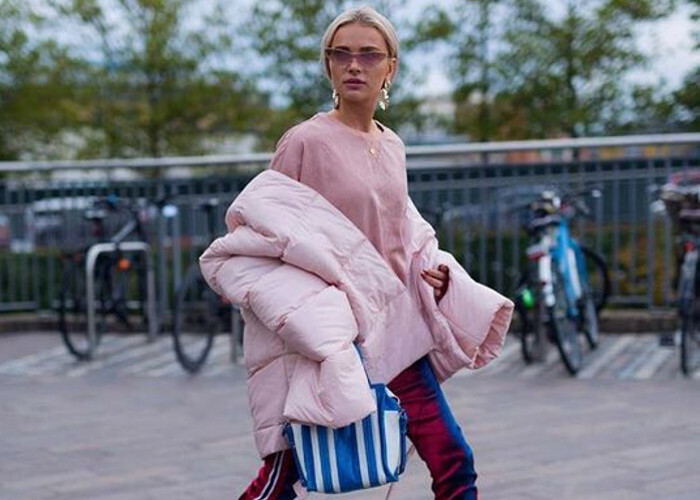 Puffer jackets are the comfiest and the coolest piece of the season, so make sure you have at least one in your closet. Nothing fights the cruel weather better than a street-approved puffer. Layering is your second best-friend when it’s cold outside. And even if it’s not that crazy cold, you can layer with lighter pieces just for the purposes of staying stylish. We recently talked about the chicest way to reinvent mainstream layering: dress over jeans. The best thing about these dresses is that you can use them in many ways: as a dress by itself, over jeans, as a jacket (if the style allows), and so on. A clothing item doesn’t necessarily have one purpose. You just have to get creative. The streetwear crowd loves to wear denim jacket underneath a coat or a jacket. You’d think a jacket is a jacket and cannot be worn under other outwear. But again, try to blur the lines and forget about the rules. You can wear your denim jacket both by itself or under another jacket depending on the season. Regular dresses might be too light for winter, but tweed and knitted ones are here to keep you warm. It’s pretty easy to fall in love with a tweed dress. They are Chanel‘s thing – the fashion house offers an array of tweed dresses in every collection. Chanel’s tweed is unique and you can’t find it anywhere else. Kate Middleton has flaunted gorgeous tweed dresses in the past, so if you need an additional inspiration dig into her style archives. We want to keep you unconditionally stylish for the upcoming winter. For that purpose, we have created a gallery of stylish winter outfits you can copy. Pin your favorite looks for later and slay the streets this season.